This is the second year I have tapped into Kevin Kelly’s The Internet Mapping Project to have my sixth grade students metaphorically connect their lives to their technology, and the Internet. I always worry the concept will be too obtuse for them and each time, they remind me of how capable they are in using art and reflection to understand the world (or at least, try to). 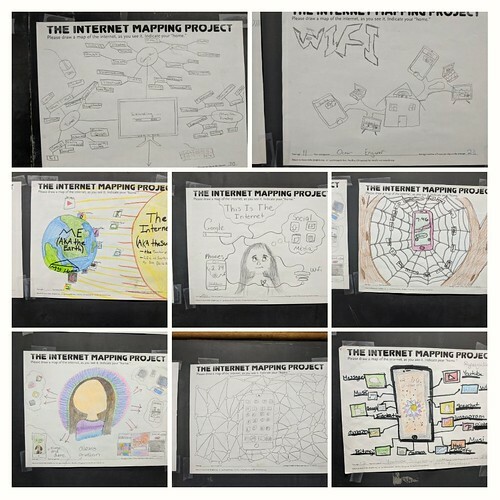 This presentation has assorted student maps, after a few videos that I share with them to spark initial conversations about what the Internet is, and what its origins are. Most don’t know. What would be on your map? Download, make and share.